Unique flavours and use of local vegetables, fruits and fish is what defines Goan Saraswat cuisine. Earthenware, clay pots, slow cooking and home-ground fresh masalas with the right ingredients is the key to a perfect recipe. Some traditional non-vegetarian recipes include kismoor, which is a popular coconut and prawn preparation, fish hooman, sukké, which is usually a side dish of vegetable or seafood and coconut masala, just to list a few.The vegetarian fare created in traditional Goan Saraswat style with fresh backyard vegetables and fruits blended with age-old spice mixtures includes khatkhatem, a blend of vegetables and lentils sautéed in coconut and flavoured with teffal. 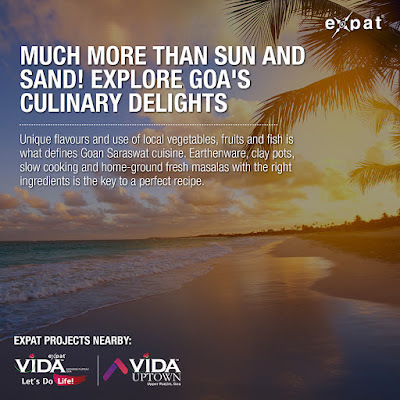 Goa’s best kept secret, uddamethi is another delicacy to try out. Ambades (hog plums) and fenugreek seeds give this thick gravy a piquant taste that will tantalise the taste-buds. The subtle spicy flavours of moogancho gathi is balanced quite well with the sweetness of jaggery, enjoy it with soft puris, and not to forget the local popular, tambdi bhaji. Also, try varan, a non-spicy dal, accompanied with steamed rice. The classic salad of greens tossed in traditional masala, karam, and the tangy mango chutney adds zing to the well-balanced flavours. For dessert, try some traditional sweets like manggannem, creamy banana halwa and the patoleo with the subtle flavour of turmeric leaves. 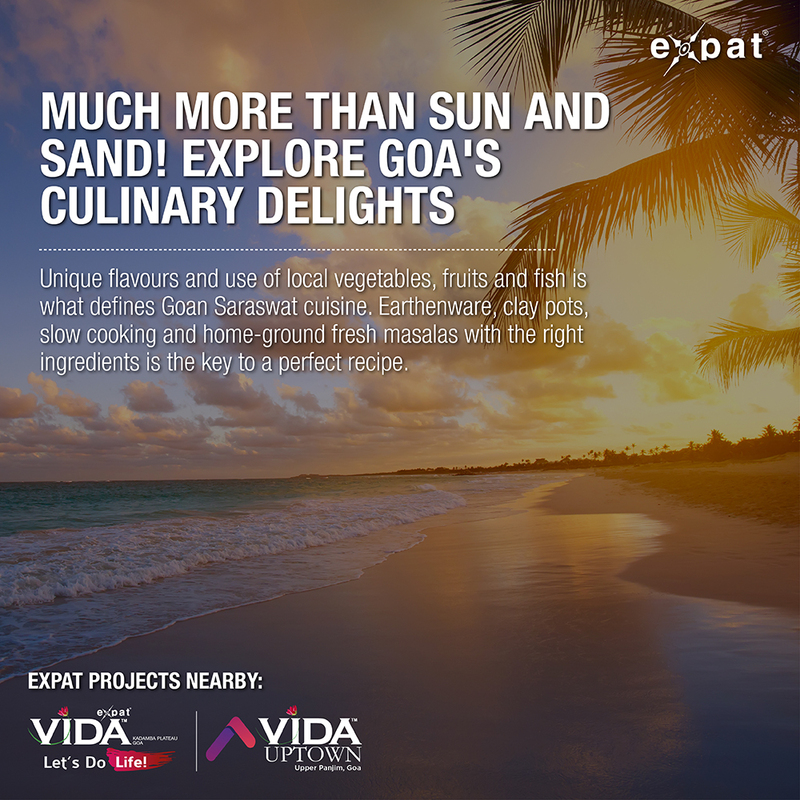 Finally, wash it down with a sol kadi, which is a typical Goan curry made of coconut milk and kokum.